Part 1 - Innovation is a Process of Connected Steps. Investment Uses a Translation Process to Deliver Innovation. Investment is Critical to a Nation's Prosperity. The Journey of Innovation Begins With Investment. The U.S. Helps Small Companies Develop Technology. Commercialization is Primarily Executed Through Two Organizational Types. Part 2 - Investment Must Be Connected to Exit. 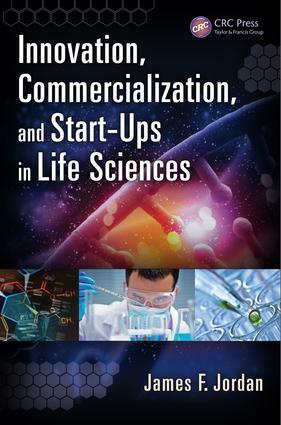 Angels and Venture Capitalists Invest in Commercialization. Create Liquidity For Your Investors. A Liquidity Event is Not Consummated Without Due Diligence. Due Diligence Reputation is a Critical Business Process. Part 3 - Align With the Industry Norms. Find the Industry Norms. Solve an Important Customer Problem. Demonstrate the Ability to Access the Sales Channel. Gather Domain-Experienced Personnel to Reduce Risk. Determine Acquirers' Strategic Future and Purchase Triggers. Align Investor's Fundable Milestones and Acquirer's Exit Points. Create an IP Pyramid for Impervious Positioning. Part 4 - A Startup Must Tell a Compelling Story. Address Your Story to the Needs of All Constituencies. Deliver to Your Plan. Tell a Compelling Story With the Investor Pitch. Continuously Improve Your Message With the Plan-Do-Check-Act Cycle. Jim Jordan, a Distinguished Service Professor of Healthcare & Biotechnology Management and Senior Director of Healthcare and Biotechnology Programs at Carnegie Mellon University's Heinz College, serves as the Chief Investment Officer of the Pittsburgh Life Sciences Greenhouse, a public-private economic and venture fund owned by Carnegie Mellon University and the University of Pittsburgh. As an accomplished Fortune 20-level executive with companies such as Boston Scientific, Johnson & Johnson and McKesson, Jim has leveraged his experience in several startup ventures and is active on multiple Boards of Directors. Through the Pittsburgh Life Sciences Greenhouse, he has applied his 25 years of experience in industry, consulting and academia to work with over 400 life science startup companies, with direct investment in 75 of them.